The Nexus series has always inspired a new generation of smartphones and each year Google picks a particular smartphone maker for its iconic OS. This time around, it is the chance of Huawei – an upcoming smartphone star. How well does the Nexus 6P fair in regards to its predecessors and does it truly display the potential of Android 6.0 Marshmallow? Unlike previous iterations of new Nexus launches, Google this year decided to go ahead with not one but two launches in the form of Nexus 5X and the Nexus 6P. Both show off the latest edition of Android coming pre-loaded with Marshmallow but while the 5X is a polycarbonate design with a lower price point, the 6P is more of a premium offering. Make no mistake, the Huawei Nexus 6P is designed for the Android elite with features that make all other flagship models cower in its presence. To some the selection of Huawei might seem a little ironic since this manufacturer until recently dealt mostly in affordable low end to midrange smartphones. However, since 2015 Huawei has concentrated on penetrating the elite segment as was evident with its 2015 launch of the Mate S model. 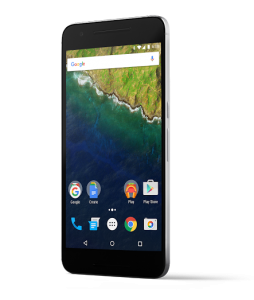 Nexus 6P only seems to be a logical progression. But the question remains as to whether the 6P truly define the term, “trendsetting”? 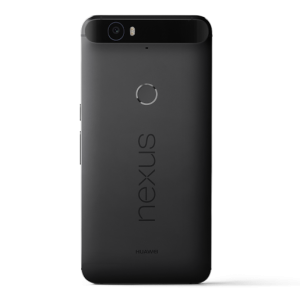 If it wasn’t already evident from the price point or the fact that the Nexus 6P comes with top notch technological advancements, the ‘P’ in 6P actually stands for ‘Premium’. At first glance, the device does lend a premium feel and holding it, caressing it lends it further credibility. Decked out in a full metal frame (aluminum to be exact), it looks nothing short of fabulous. Adding to its allure is the back and side surface’s dullness that is strategically accentuated with highly reflective finish giving it a sheen when viewed from any angle. To the front, you have the screen that covers nearly 7/10th of the surface area and is perfectly centered. Borrowing from HTC’s boom sound speakers, Huawei has opted for dual firing stereo speakers to the top and bottom of the centered screen. Other obvious additions include LED notification light and front camera to the extreme top left corner. However, unlike every other manufacturer, Huawei has opted not to brand itself in the front, which does give it a rather sophisticated image, further accentuated by the use of on-screen buttons that intuitively light up the moment the screen turns on. Coming to the back, this is where the iconic ‘Nexus’ branding is blatantly obvious with a tiny Huawei logo beneath. 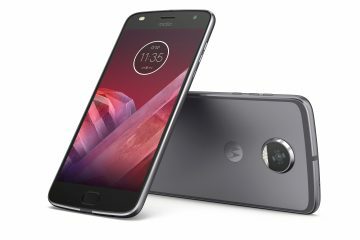 A centrally located fingerprint sensor sits about one-third of the way down, properly centered so operating it with either hand will not be much of a concern. Move a bit to the top side and you will come across a black “visor” band running across the camera and flash with a slightly noticeable bump. While this gives the backside a posh appeal, it does not actually make the camera stick out like a sore thumb, instead helping it merge into the dull metallic finish. Coming to the sides, the 6P is immediately evident as an Android device. Volume rockers to the right along with the power button, bottom mounted Type-C USB port, to the top a 3.5mm socket and finally a SIM tray on the left side. To me it felt as if the volume keys and power button weren’t properly positioned and reaching them needed a little getting used to. In my opinion, this is probably because of the big size of the phone so you do need to adjust the way you hold this device to immediately access either of the buttons. Thankfully, once you get the fingerprint sensor configured, the need of a power button becomes redundant, besides also adding to the security of your device. 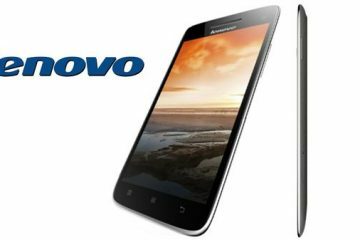 The 5.7-inch screen is a stunning AMOLED display with an impressive resolution of 1440 by 2560 pixels. By the way, 518 ppi is the screen density so you can imagine just how vivid and clear visuals really are. In my experience, I haven’t yet seen a phone so sharp. The screen is comfortable on my eyes and it is amply bright and vibrant regardless of the viewing angle or the blaring sunlight overhead. Watching videos or movies on this phone does feel rewarding and this helps its credibility as a ‘Premium’ Google device. However, I did feel that the AMOLED panel is slightly warm in white balance. Setting the sRGB mode to on makes a small difference, but it could be too warm for some. Not only does the front boast of two speakers in a stereo setup but the performance to go along with it. Play anything and you will love the output. HTC definitely rules the roost with its BoomSound dual front firing speakers but the Huawei Nexus 6P gives a real close competition with its equally impressive front firing speakers. Finally, a competition in the market that rivals HTC in the sound department! All smartphones should adopt front facing speakers – anything else simply doesn’t measure up. Obviously, as with every last iteration of Nexus, the 6P being a ‘Premium’ range brings with it premium hardware. One look at the specification sheet and every other flagship model will feel violated. At its heart, sounding a battle cry, lies the monstrous octa-core Snapdragon Qualcomm 810 v2.1 SoC. This specific variant actually has four primary cores each running at a simultaneous 2GHz and four more secondary cores operating at 1.55GHz. Add to this the latest in mobile graphics, the Adreno 430 GPU. Complementing the heavy duty core is a 3GB RAM with the option of 32 or 64GB internal storage. A word of caution though, this Nexus like many others before it does not support expandable memory. And finally topping up the core components is a single SIM slot featuring 4G compatibility, Bluetooth 4.2, 3450 mAh battery and NFC. 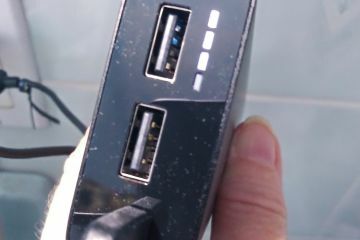 If you had not noticed previously, I said this Nexus uses a Type-C USB connector for data transfer and charging present to the bottom edge. 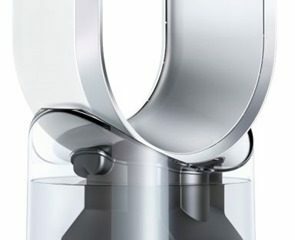 While this hasn’t yet become a widespread standard, it still remains the future by offering greater transfer speeds and faster charging. Thankfully, the 6P accessories include a USB Type-A to Type-C converter cable so you need not worry about charging with conventional chargers or even connecting with laptops and/or PCs. Unfortunately, wireless charging and fast charging do not feature in the Nexus 6P. Nevertheless, the use of Type-C USB helps the 3450mAh battery charge from empty to 100 percent in less than 2 hours, which is actually pretty decent. A word of caution, CableGate! 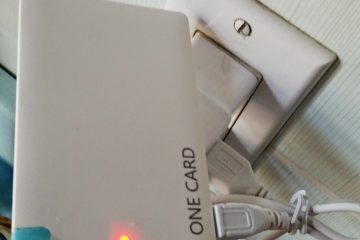 You may have read about this on Reddit or Amazon but many third party cables (including the OnePlus USB C cables) aren’t USB 3.1 Type C spec compliant. Be careful what you buy! I for one, really don’t appreciate quick jumps in operating systems as to me it takes forever unlocking all the secrets of a new OS. However, knowing that this is a Nexus, meant bracing myself for a brand new iteration of Android, which sticking with previous nomenclature conventions, Google has named Marshmallow. This is officially Android 6.0 and while the visual feel hasn’t changed that much from the Lollipop, immediate improvements are evident. For instance, the app drawer that drops with a vertical scrolling list and the ‘Now on Tap’ feature that gives up contextual results for whatever you are doing on the screen – are both rather welcome additions albeit a little buggy at this point in time. Some minor yet noteworthy additions to the new Android platform include the ability to search on the home screen through apps, media and even your contacts. Secondly, pinning most used apps to the top of app drawer, and finally, keeping the phone responsive to ‘OK Google’ voice commands at all times. All of the above software offerings actually did add to Android’s already impressive usability. Something that did not inspire much confidence in the Marshmallow bag of goodies was the Ambient Display feature. Basically, this is a redone version of the lock screen that responds to lifting the phone up. It is supposed to sense this movement and display a clock with any notifications in a monochrome power saving mode. Unfortunately, I feel this feature needs more refining as it takes a little while for the screen to actually power up. A few other nagging points in the OS (like I said, I really don’t like brand new OS iterations) include the System UI Tuner that controls quick settings bar and battery percentage region on the screen. This particular option in the Settings menu has to be first enabled before you can customize! Add to this, the file explorer in the Marshmallow that is accessible using the settings menu, lacks the usefulness evident in so many free third-party apps. I just can’t understand why Android does not do something about the file explorer when this is the most downloaded app type in the Play Store. Like with all Nexus iterations, the Nexus 6P is blessed with a clean and efficient interface. Free of any unnecessary app or icon, I really do appreciate Google allowing the user to pick and choose his choice of applications. Oh! And finally, the Google settings app no longer features in the app drawer, although now it has its own tab in the settings area. Another notable absence is the Gallery app. To view videos and pictures, you now have to rely on the Photos app. Which is pretty amazing now, so there’s no issues there. While Google always gives the pure Android experience on all its Nexus iterations, to me Marshmallow can feel a bit sparse since there is no bloatware or carrier apps included. Nevertheless, it does help free up the home screen clutter evident in so many other phones. Moreover, the lack of third-party add-ons ensures the phone’s resources are used only for what I really want to keep or run in the background. One more interesting feature added to Android 6.0 is the Doze mode. This mode helps keep the phone in stasis or a state of low power consumption. It does this by ensuring no background tasks are active and updating the phone or apps only when it is in idle state. Even in the Doze mode, you can access voice or camera commands on the lock screen intuitively. Another quick access mode for the camera is double-pressing the power button. However, if you use a Bluetooth device constantly then entering the Doze mode is currently not possible. Hope Google comes up with an update to counter this minor bug. Possibly, the biggest user interface add-on with Android 6.0 – fingerprint authentication native support. To setup a fingerprint lock is rather simple and recognition is error-free and usually immediate. Moreover, you have the option to store total of five fingerprints to unlock and even authorize Google Play Store purchases. Additionally, any app that supports fingerprint authentication works perfectly with this new Android default. Let’s talk first on the Google native camera app installed in the Nexus 6P before actually taking a look at the camera quality or features. First of all, this app is just as minimal in its overlay as the home screen and settings area. Apart from taking pictures or videos you really don’t have the gimmicks evident on Samsung or even Sony smartphones. All you get for additional settings are lens blur, photo sphere, HDR, panorama and a timer for selfie or group shots. As for video settings you can go 120, 240fps or slow-mo with the rear. However, because of the hardware on this beauty your videos are captured at 4K resolution with the rear and 1080p with the front camera. I really did find the settings menu relaxing because of the lack of options. To me a phone camera isn’t a DSLR and should not have options to make my brain skip a few paces. With minimal options such as resolution change, picture and video quality, location tagging, burst mode settings and viewfinder grid I find the Nexus 6P camera settings actually refreshing. By the way editing and filter options aren’t present in the camera but can be added to any picture using the Photo app afterwards, which is great as this allows you to store the original plus your redone picture. For those who want more editing options, pick a third party app and a gallery app too. Finally, coming to the actual quality of images, I am happy to report that Huawei has done justice after so many iterations of the Nexus. A 12.3 MP camera having f/2.0 aperture and 1.55um pixels to the rear and an 8 MP sensor for the front camera gives this Nexus the best ever photography hardware in the Google lineup. Kudos to Huawei for this! Pictures stand out with fabulous amount of details, oozing with natural yet vibrant color and with minimal noise. Also, the laser autofocus feature helps make close-ups sharp and vivid while on long distance snaps, the contrast detection autofocus method does its job flawlessly focusing with accuracy. As for low-light shots, I find shadows really making a play in the background with light changes captured to stunning perfection. Even the front camera is a pleasure to play with although the lack of front flash is possibly the only downside I could note in the 6P’s camera department. Coming to video capture, the Nexus 6P shoots amazing 4K videos but because of the high quality, the file sizes are often too big. Also, I noticed the phone heating up a bit when taking 4K videos but dropping to 1080p does counter all of these issues. No more heating and the size is now way more manageable. By the way, 240 fps lends to more sharpness in the video while slow-mo does an amazing job in really capturing dramatic shots. 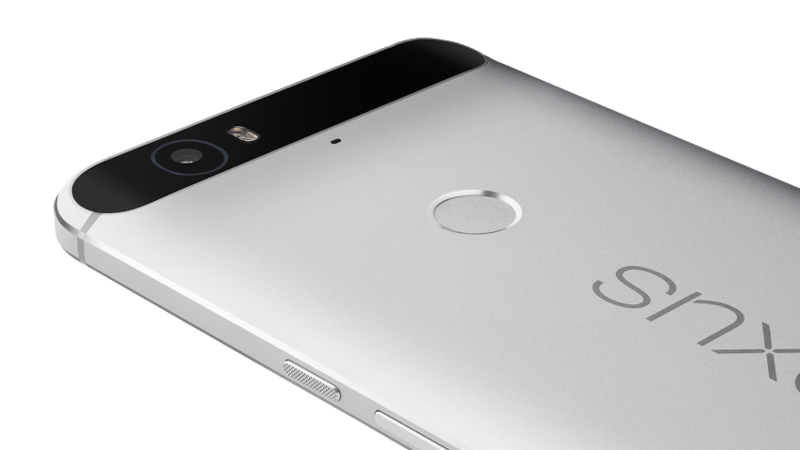 Nexus 6P is Google’s flagship just as much as it is of Huawei so you can expect nothing less than flagship hardware. Snapdragon 810 is Qualcomm’s current flagship SoC that finds a place in the 6P alongside 3GB of RAM. While the first iteration of Snapdragon 810 was known to have heating issues, the v2.1 used in the 6P is thankfully devoid of this. Overall, the experience of the processor and graphics unit together with ample RAM is unparalleled. No serious overheating, flawless performance and smooth OS operations is what I experienced in my short time with this Google/Huawei product. 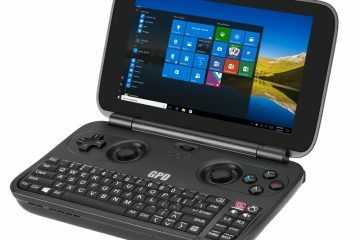 Loading web pages, swiping about the interface, playing graphics intensive games, running multiple applications – nothing really tests the hardware on this smartphone to the limits. No waiting time, no lag or stutter – the Nexus 6P is a true workhorse with maximum power dedicated towards performance. Speaking of performance, take a look at the benchmark scores. 54,778 and 27,422 on AnTuTu and Quadrant respectively while 36fps on GFXbench, 21,404 on Unlimited test and 3DMark Ice Storm Extreme maxed out. The same scores apply to flagship models from Samsung but the Nexus 6P does operate a brand new OS and hence to me this speaks a lot on the overall software and hardware upgrades. I did however notice a tad bit of heating to the back of the device, when gaming but it wasn’t much to bother me. As for holding onto networks, it does a good job staying on LTE bands and Wi-Fi networks while voice calls are crystal clear. One particular disappointment though is the vibrations this phone puts out – they are meek at best so you may miss a call or two if left in your pockets for too long. Notwithstanding the power drain this beast must be putting on the battery, its 3450mAh capacity is actually a decently sized powerhouse. It took me over 12 hours to completely drain the battery in my exhaustive battery test, which is actually pretty good considering the fact that the battery powers a 1440p 5.7 inch screen. As for ordinary usage, expect a good full day’s backup. And half charging the phone takes less than an hour so you are good to go for another 12 hours of normal usage if you can just plug in somewhere. While the battery life is good – it is certainly not the best. Honestly I expected more from the flagship Marshmallow device from Google. Part of the problem is a bug in the new Doze feature of Marshmallow. With Bluetooth on (which is needed for my smartwatch) it won’t go into the power-saving Doze mode reliably. Usually, Google comes up with Nexus to showcase its latest Android platform and while the Nexus 6P does just that, Huawei has taken the chance to upgrade its image from a middle market player to that of a flagship contender. Superbly designed, packed with the right hardware and flawless in performance, I can give it no less than a full star studded salute. In my previous experience with Nexus products I always felt something was amiss that subsequently Samsung or HTC managed to overcome with their UI. This is probably the first time that I felt differently. 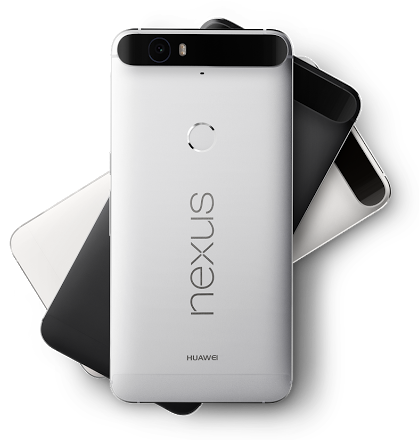 To me, the Nexus 6P is a complete competitor to any flagship that may come out from other smartphone stables in the near future with modified Marshmallow UIs on top. Fabulous design, excellent build quality, vibrant yet detailed display, performance oriented hardware, excellent efficient software and decent camera with battery life makes the Nexus 6P, in my books, the best smartphone in the market today. As for the minor flaws I found in my review, I am pretty sure future updates will clear it up over the next few months. Pity though, it isn’t waterproof or even water resistant because that would really have made the Nexus 6P complete. Oh! And did I mention that unlike flagship models from Samsung or HTC, this one from Huawei will actually retail a lot cheaper? Yup, a Google Nexus that isn’t as expensive as the latest flagships and with an impressive performance – there’s no reason not to get the 6P today.